Think Skydiving Has No 'Real' Health Benefits? Think Again! If you've ever wondered what it's like to jump out of an airplane and go parachuting, you're not alone. About 69% of millennials consider themselves to be adventurous, and more and more people are going out on a limb and testing their limits with physical and mental challenges. But while many people think that skydiving is just something to do for fun and adventure, there are actually a number of mental benefits to the sport that can help you determine whether or not it's right for you. 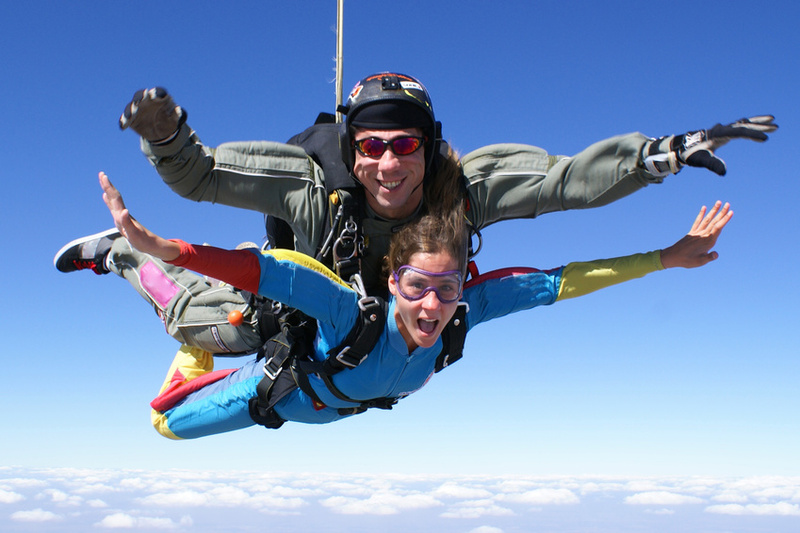 Here are just a few of the many physical and mental benefits of skydiving. A tandem jump generally lasts between 45 and 60 seconds, followed by a four-minute canopy ride to the ground. With that in mind, there's no surprise that first-time jumpers get nervous and anxious. Putting your mind through this experience actually helps it to grow more accustomed to stress and cope with it naturally. With multiple jumps, your mind will only continue to grow more apt at adjusting to the stress of everyday situations. It may not seem like it, but skydiving is a fantastic calorie burning activity -- and undoubtedly one of the most fun and creative types of exercise. In fact, according to research, skydiving burns 230 calories per hour for an average 150-pound person. This is because a skydiver free falls at around 120 mph, and the intense rush of adrenaline causes your body to burn calories more rapidly. Finally, anybody who's had the life-changing experience of skydiving can attest to the fact that it truly does provide you with a new perspective on life. From the sensory experience to the mental and physical rush, even going skydiving once can have permanent effects on your everyday mindset. "Challenging yourself to take risks and try new things is how you learn something new every day. When you take the “big leap,” you realize that life isn’t as dangerous and scary as you thought. Skydiving will give you a new perspective that nothing in life is impossible to conquer," writes Health Fitness Revolution. Ultimately, understanding these health benefits of skydiving may be able to encourage you to finally take the plunge! For more information about tandem jumps, contact Jump Florida.